If you think all you need to have a successful online presence is a website and a blog, you are sorely mistaken. Forbes reports that there are more than 1 billion people on Facebook every day. Why wouldn’t you want a piece of that enormous pie? Before you get too excited, you need to know that Facebook operates under its own set of rules. 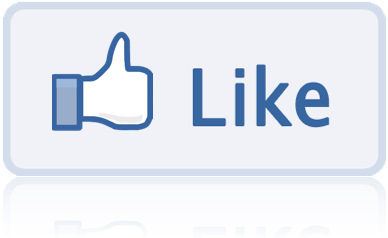 Unlike your website, Facebook is not about convincing your followers to buy. Instead, your Facebook success comes down to relationships. When you build strong relationships with your followers, they will be more likely to purchase something from you in the future, which is the ultimate goal. Sandi Krakowski, one of the top social media influencers in the world, believes that your presence on Facebook should show your followers who you are. They aren’t on Facebook to learn about your business. That’s what your website is for. They are on Facebook to get to know you; so let them. Don’t be afraid to share personal stories to help your followers see that there is an actual human being behind your brand. In order to keep your followers happy, you need to provide them with beneficial posts specifically for them. By now, you should have a clear understanding of your target market. So find pictures, funny videos, and interesting articles that your target market wants to read about. Sure, you can pay attention to what your competitors are doing, but Bob Parsons, founder of GoDaddy.com, strongly believes that you should put more focus on what you know your followers want to see. How often you should be posting varies depending on whom you talk to. Mari Smith, a renowned Facebook marketing expert, believes that five times per week is enough. However, Krakowski teaches that businesses should post every hour. Obviously, this is a huge difference. The best policy is probably somewhere in between the two. The good news is that you can easily test out what your followers prefer. Try each method. If you get a lot of interaction when you post frequently, keep at it. However, if you notice your page likes dropping, then you are probably posting too much. All social media experts agree that your interaction is key to building a loyal following on Facebook. It is not enough to simply post something and forget about your Facebook page for the rest of the day. In fact, one of Parsons’ 16 Rules for Success in Business and Life in General is that “Anything that is not managed will deteriorate.” He is absolutely correct. If your followers don’t see that you are paying attention to them, they will go elsewhere for information and entertainment. So how much should you check in? Krakowski recommends logging in at least once every hour. Check for comments on your page or on your posts. If you have a genuine reply (remember the first step? ), then post it. If you can’t think of something to say in response, you can simply “like” the post. A “like” does not necessarily mean that you agree with what is being said: It simply means you appreciate the person taking the time to write something on your page. Guest post by Leslie Hooper. Leslie is a social media expert for a large marketing company. She loves to write and read in her spare time.